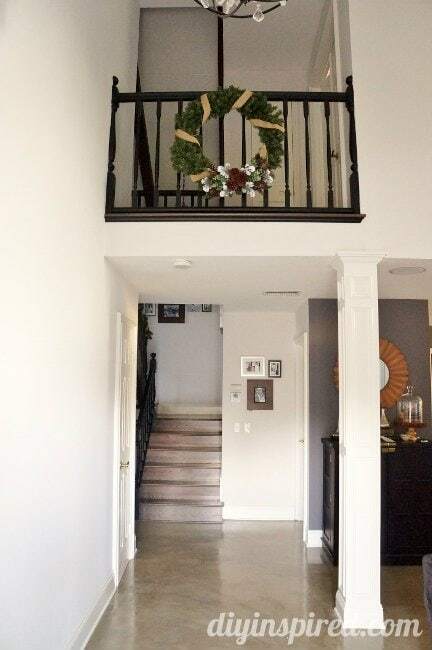 There’s something about a grand entrance…I think that’s what made me buy this giant wreath. Of course the first thing I thought of was, where the heck am I going to store this after Christmas but I purchased it anyway. I just couldn’t pass up the sale! 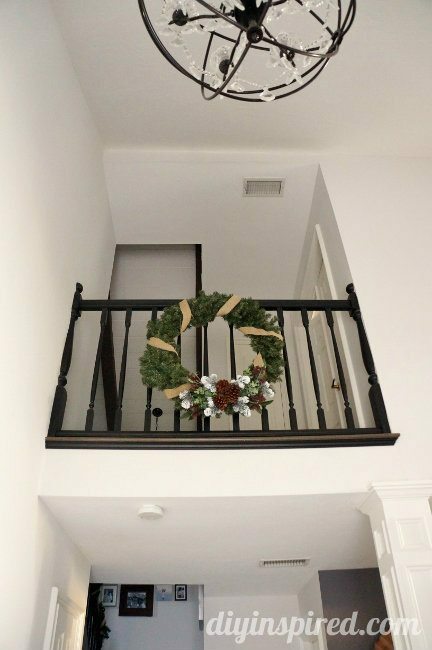 And since there was such a great sale, I was able to purchase all the embellishments I wanted to make this entryway Christmas wreath DIY. 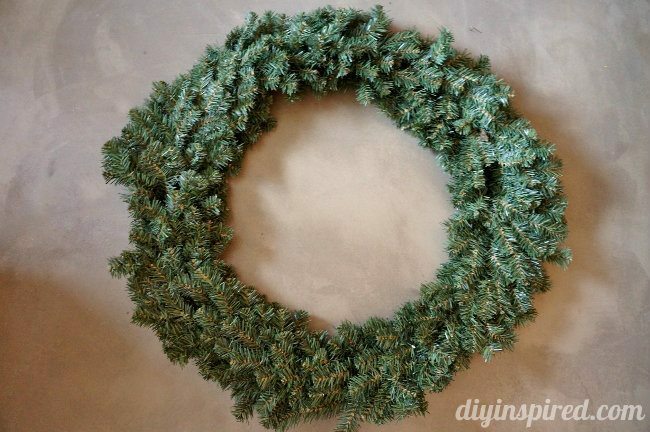 Here is the wreath. 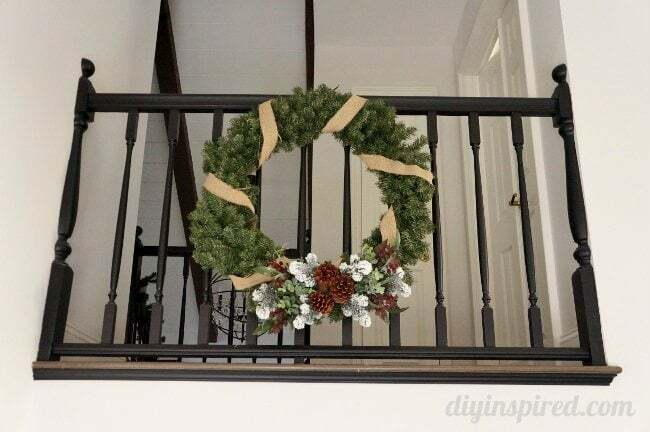 It’s fairly large, but I needed one this size to hang on the railing overlooking the front door and family room. 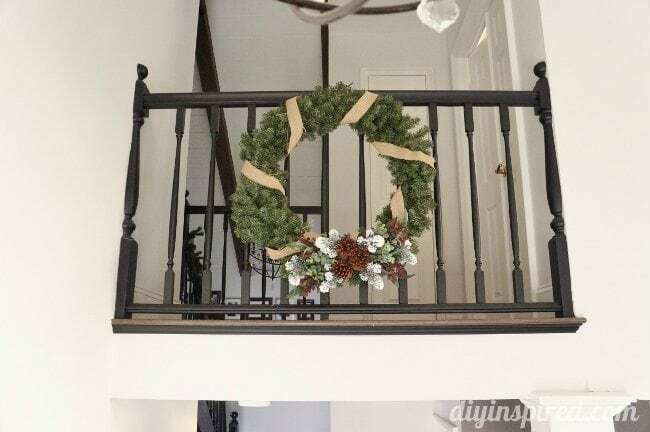 This year, I added burlap to a lot of my Christmas decorations. It was an inexpensive and easy way to update the same décor I’ve had for many years. 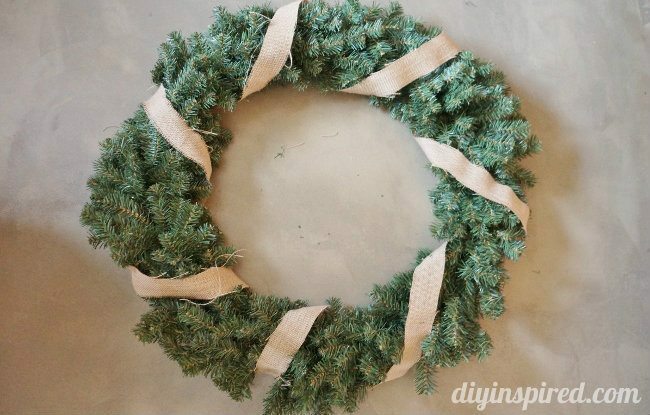 So, I started by wrapping this wreath with burlap ribbon . My idea in the store was different than when I got home but it worked out. I started adding my embellishments. 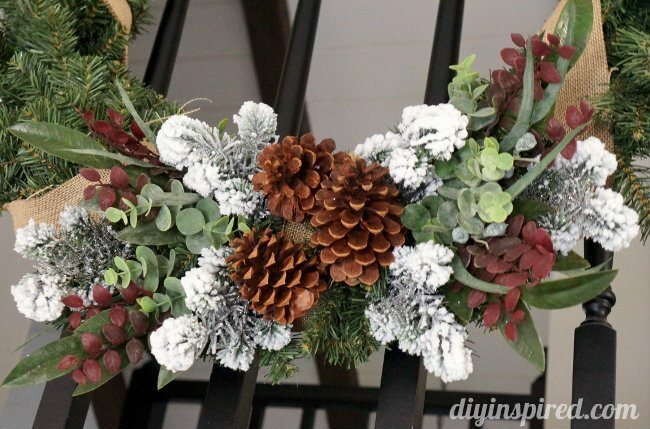 I used artificial succulents and pines, along with some pine cones . It actually turned out better than I pictured it in my head! I hung it up on the railing. It made a great addition to my entryway. Here are a few photos.